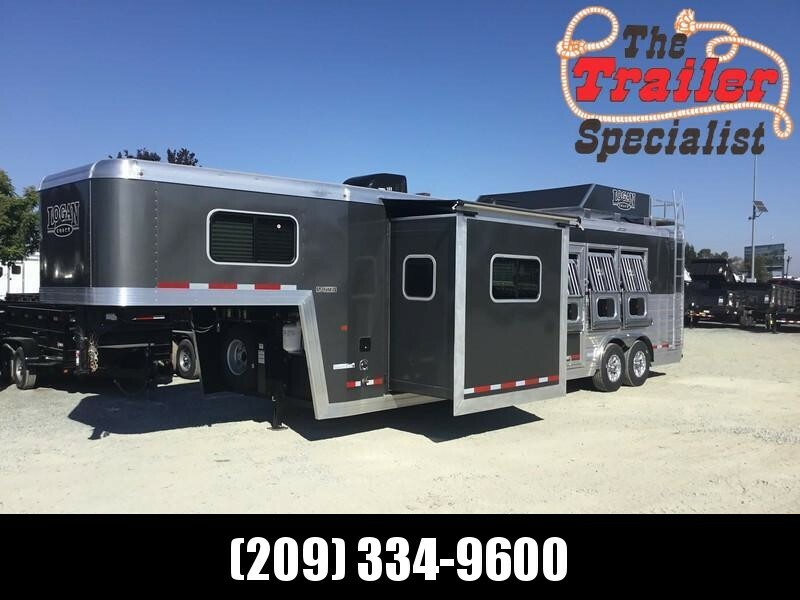 Interested in a high quality name brand trailer, but don't want to break the bank to purchase it? 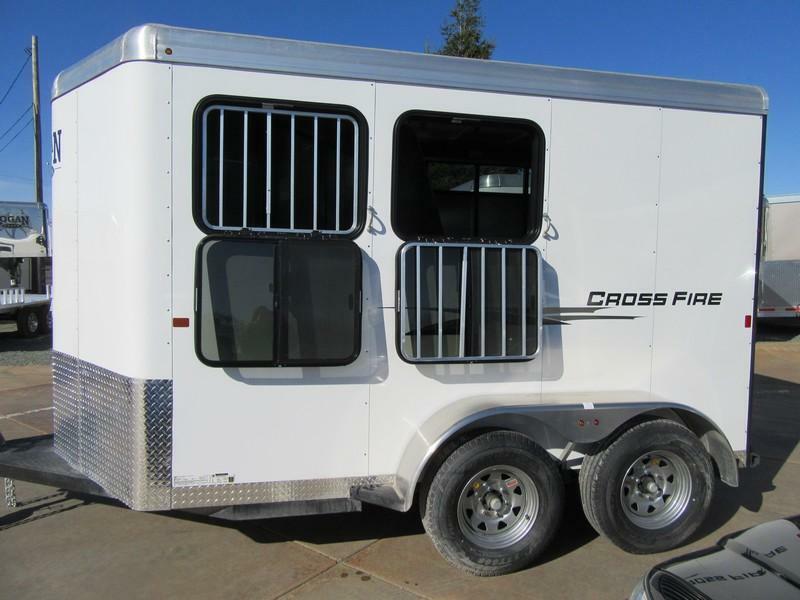 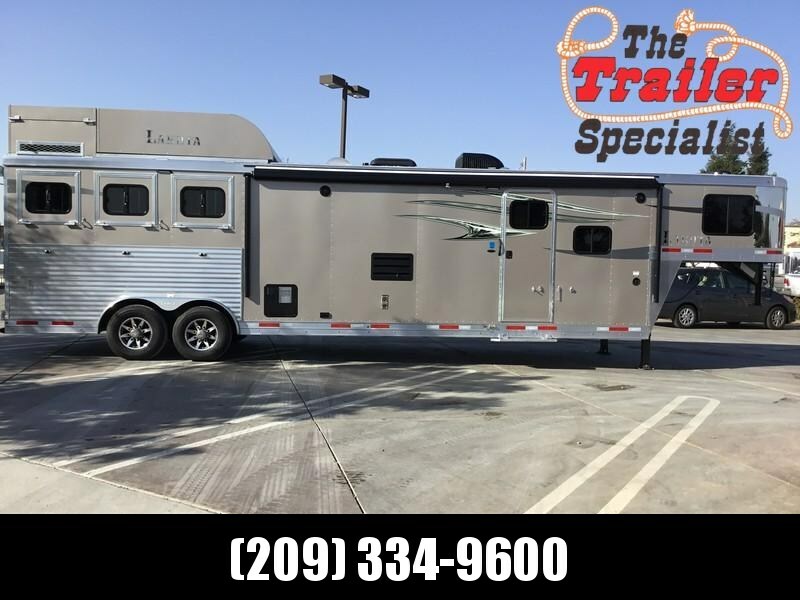 The Logan Coach Crossfire is the trailer for you! 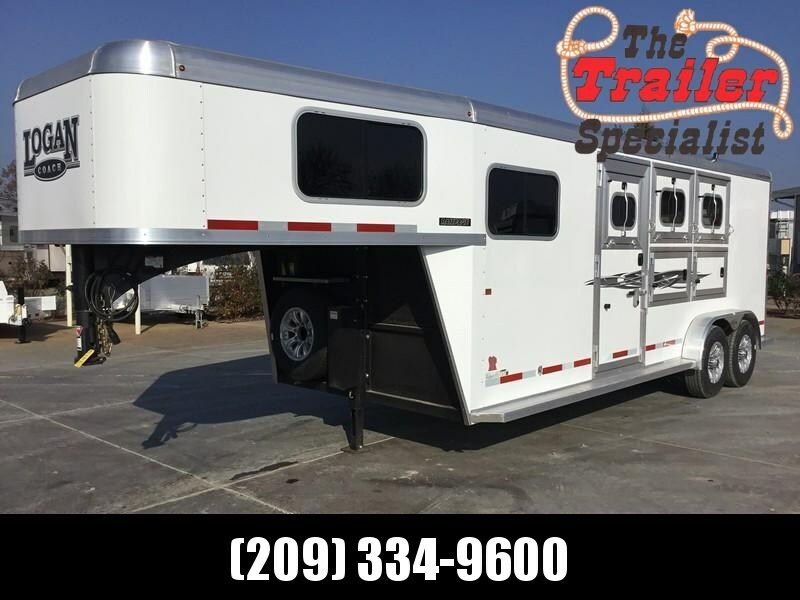 They call this trailer tuff-fordable, meaning you get the quality of a Logan Coach, including the galvanized frame, Vortex spray coating, torsion axles, and smooth aluminum exterior, but at a great price point. 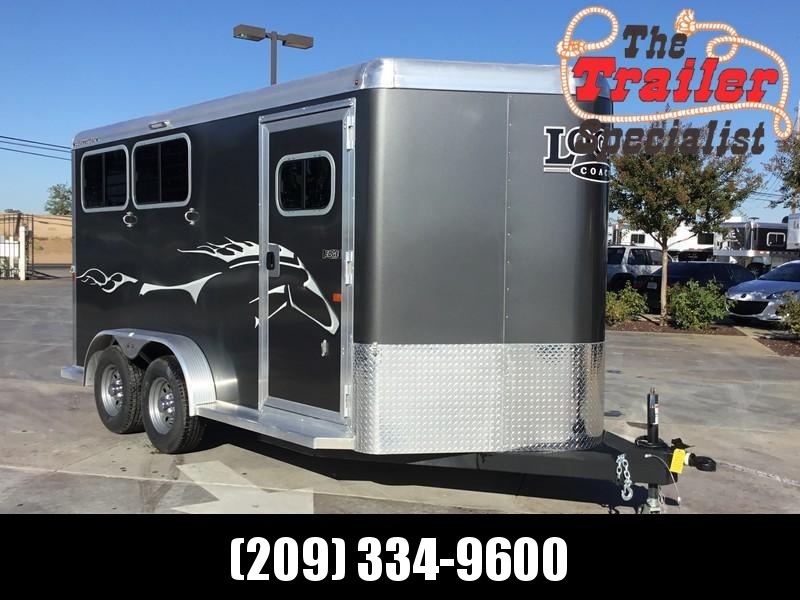 The 2 horse model comes with two 3500# torsion axles, 15" radial tires with steel wheels and chrome center caps, and LED tail, marker, and stall lights. 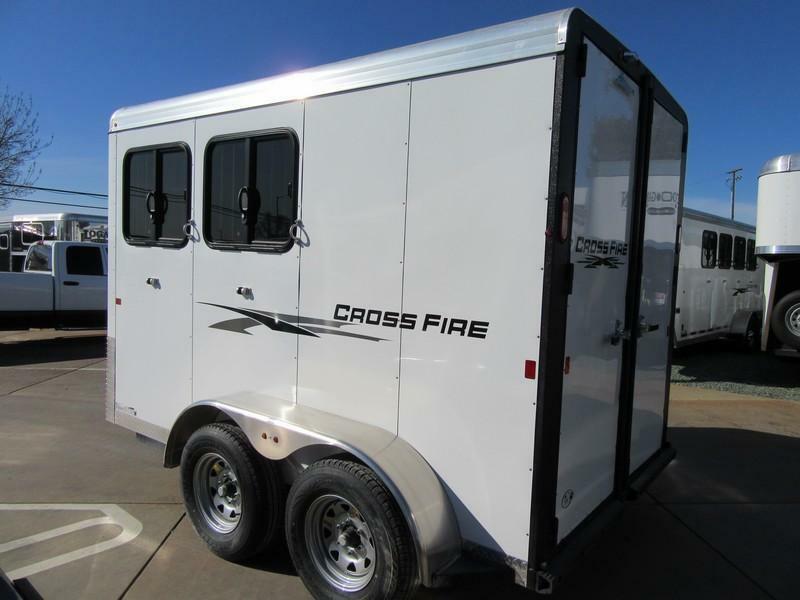 The Cross fire model is standard 7' tall and 6'9" wide, with the stalls having a 36" width on the wall. 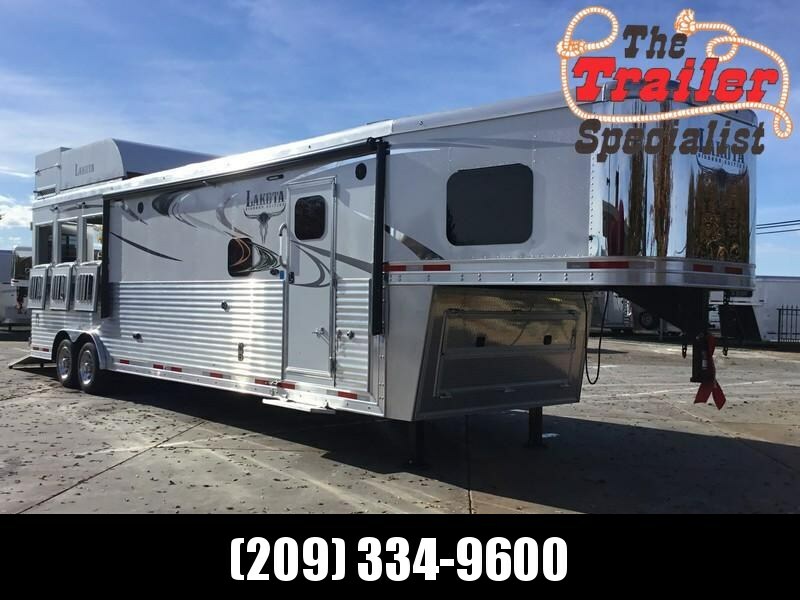 Empty weight on this trailer is 2560# and the roof is one piece aluminum with aluminum structural roof bows and coves. 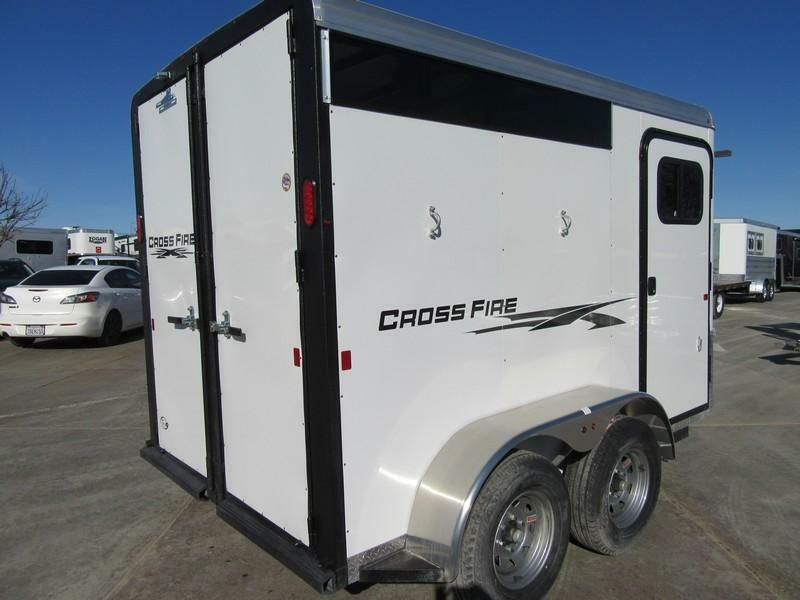 The tack room on the Crossfire has everything you need. 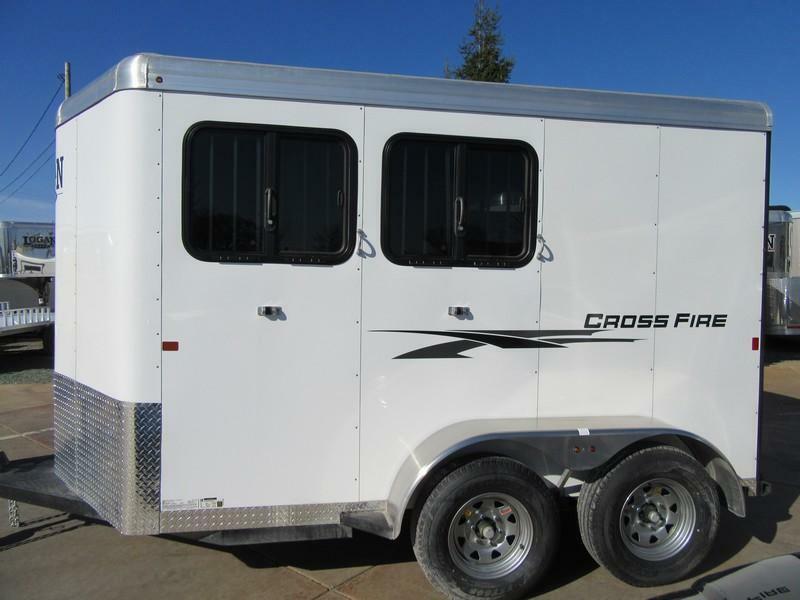 Whether trail riding or competing, there is room to organize everything. 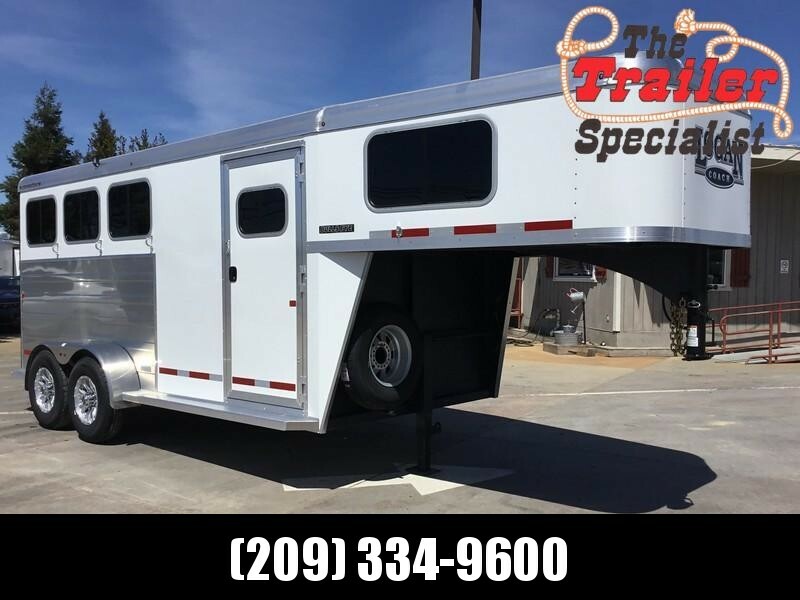 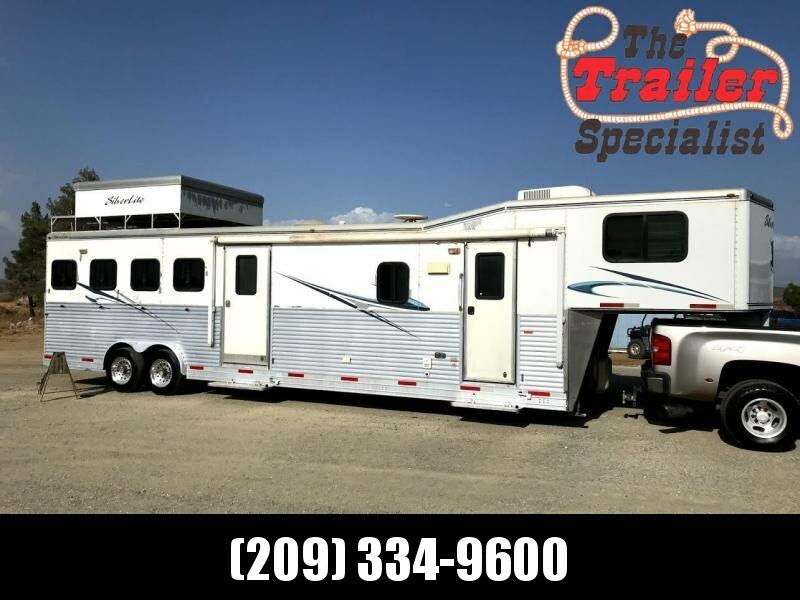 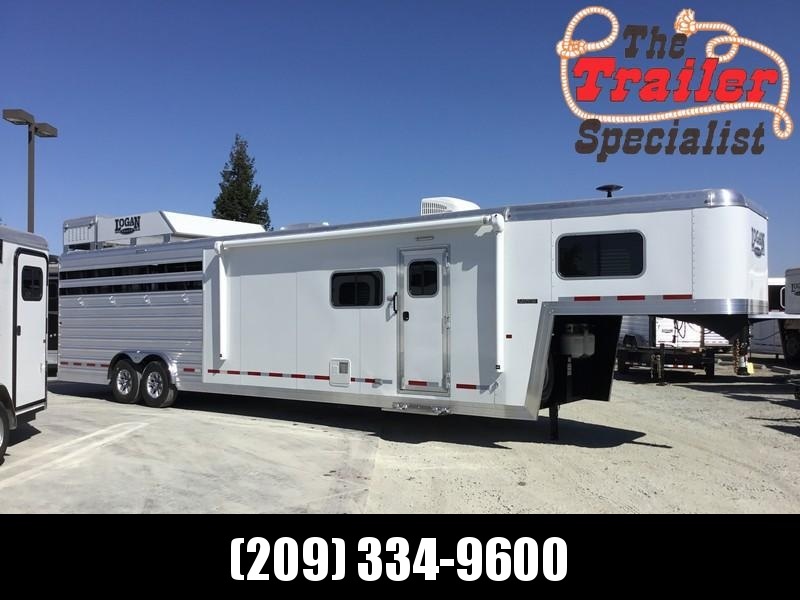 Comes standard with a 33" wide tack door with a slider window, and a 3-tier swing-out saddle rack with blanket bars underneath each tier. 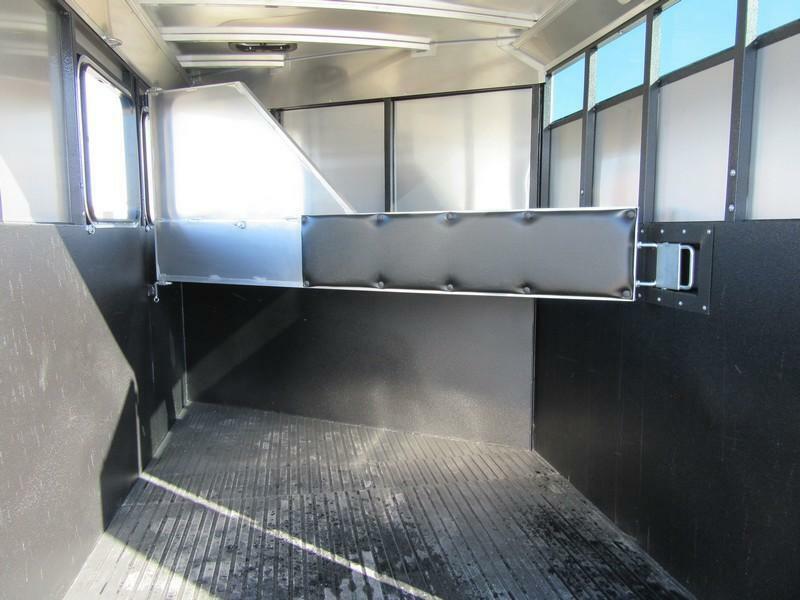 How nice to be able to keep your saddles and saddle blankets together! 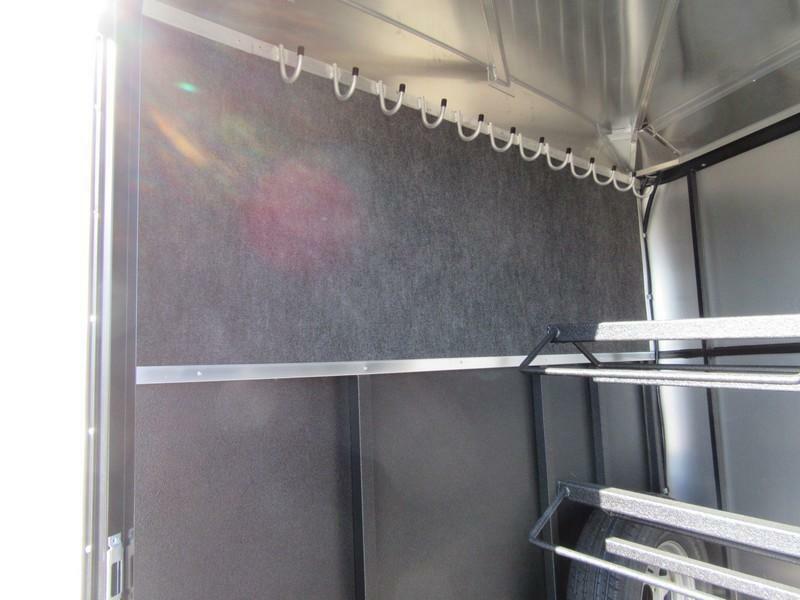 There are 12 bridle hooks with carpet on the wall to protect your bridles. 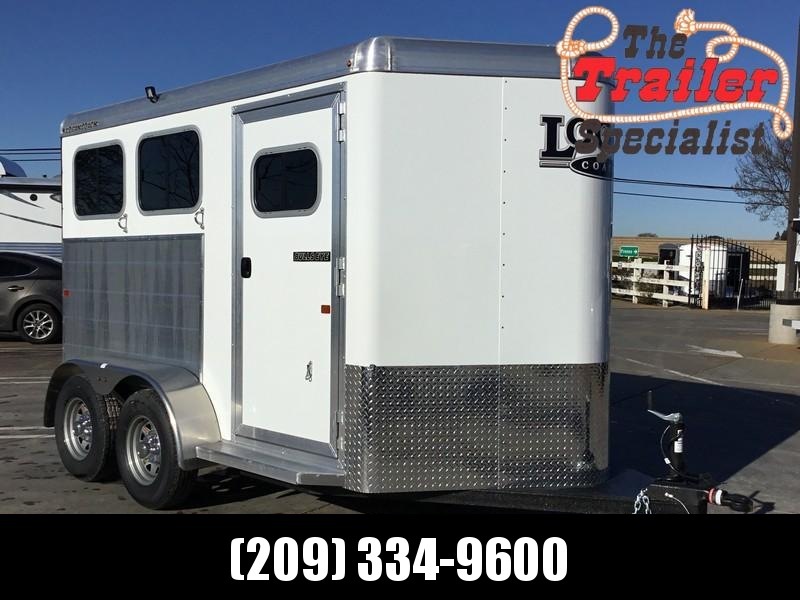 Includes carpet on the floor of the tack room, and a spare tire. 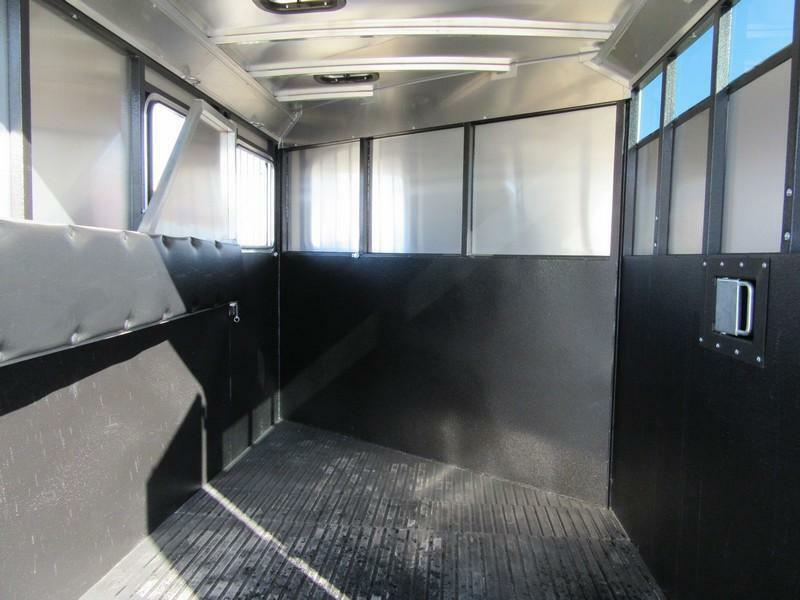 Next onto the horse area! 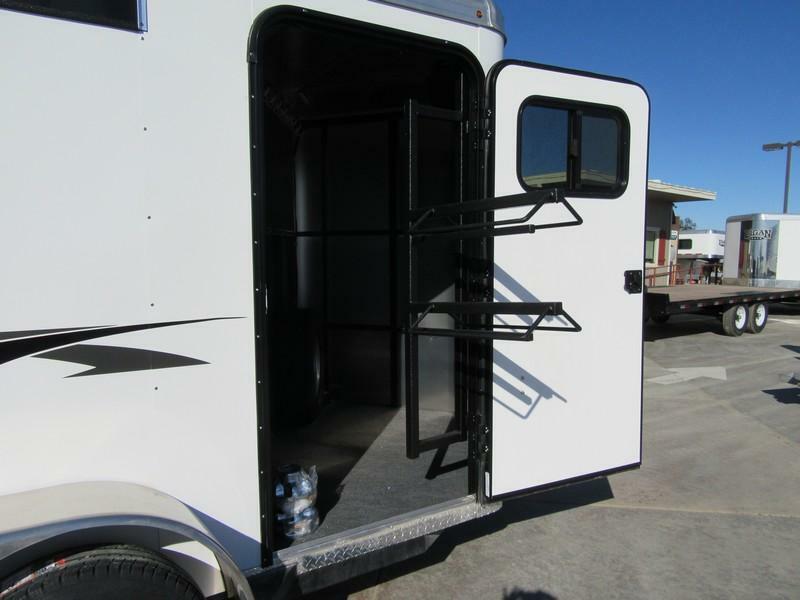 The horse area is double walled 48" high with the Vortex rubber coating for protection. 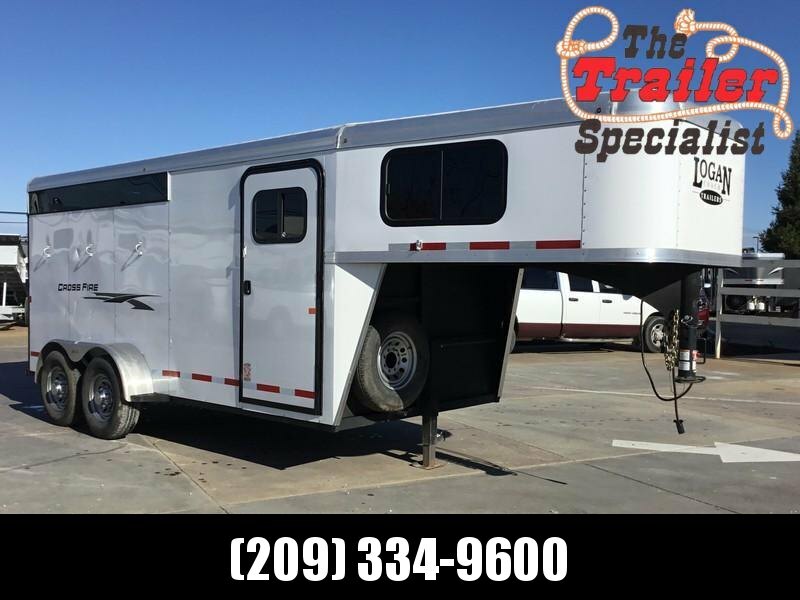 The Vortex spray liner not only helps protect the walls, but reduces vibrations by insulating the trailer, which gives the animals a quieter ride. 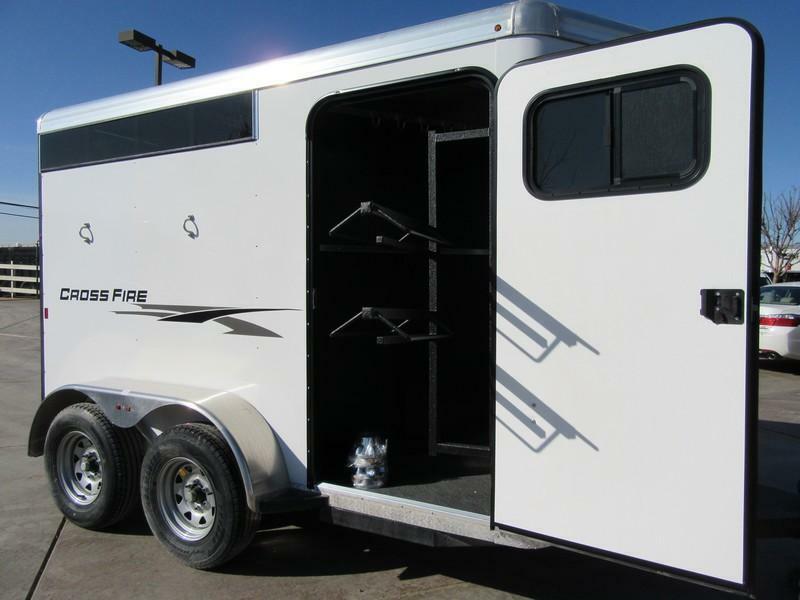 The stalls have one padded solid shoulder divider with an easy slam latch for quick, safe loading and unloading. 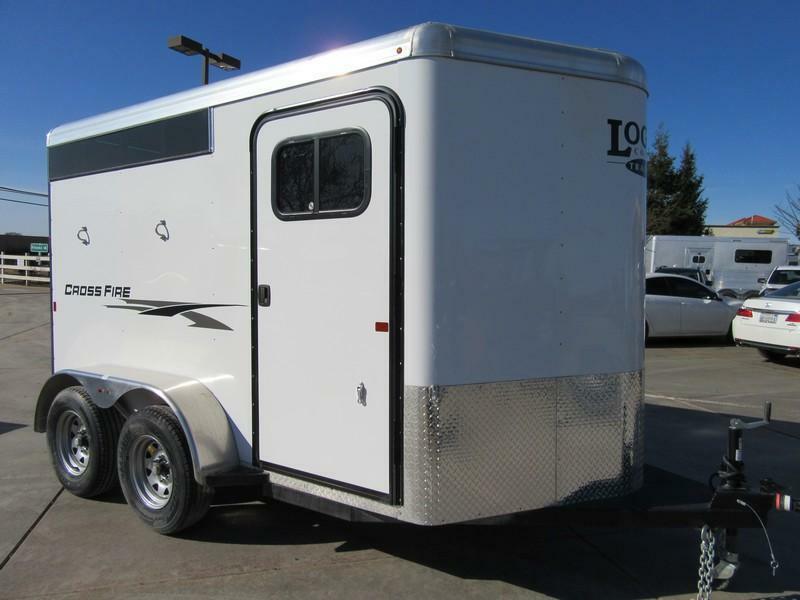 On the head wall there are large drop down feed doors with drop-down feed bars, the tail wall has a single air gap, and the trailer includes double rear doors for easier handling in the wind. 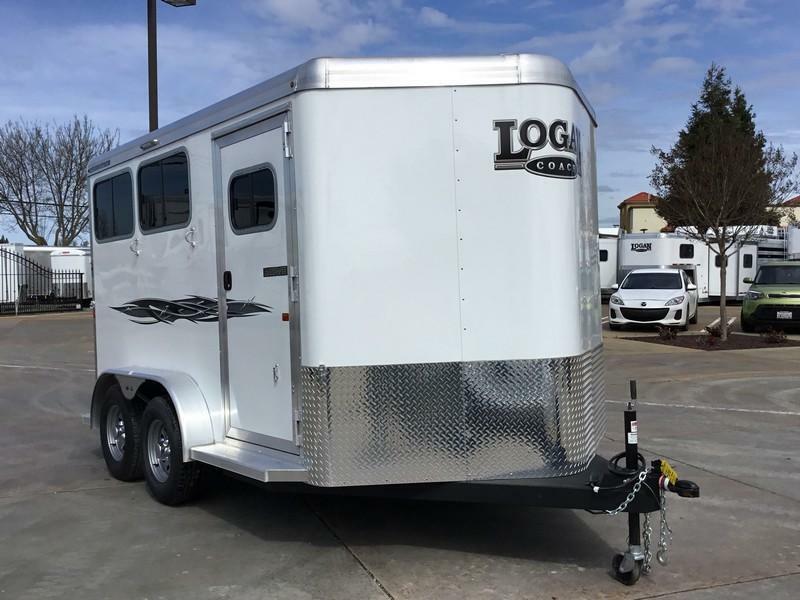 Check out the floor in this Logan! 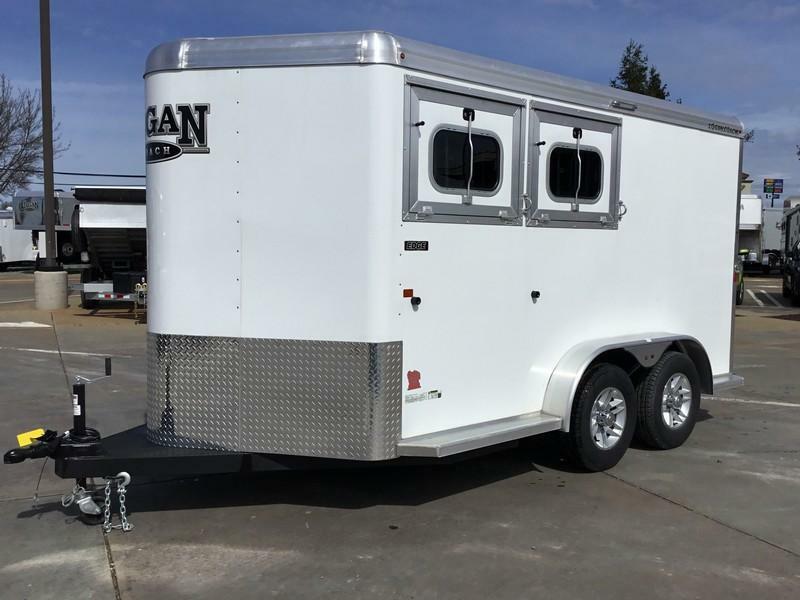 Logan uses their special Vortex spray coating on the wood floors creating a barrier between the wood and the rubber mats, to prevent moisture from penetrating the wood and causing rot. 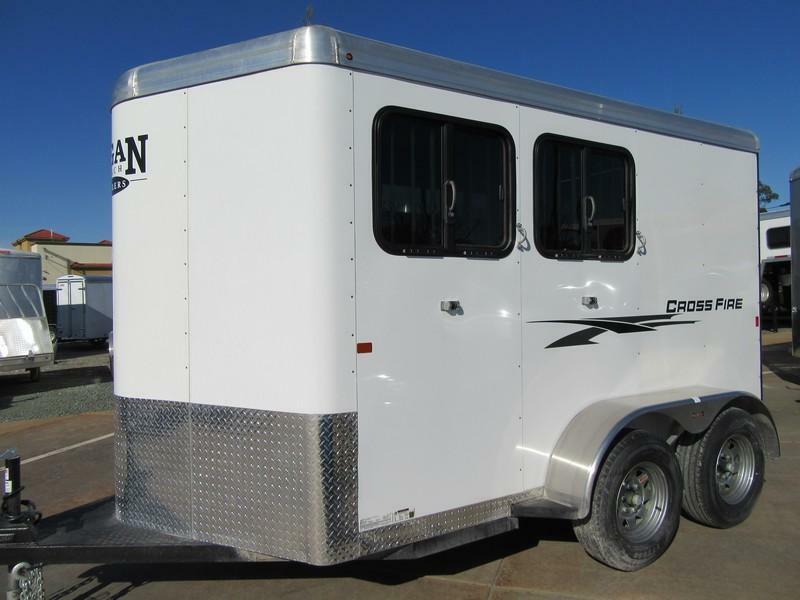 Easy to clean too! 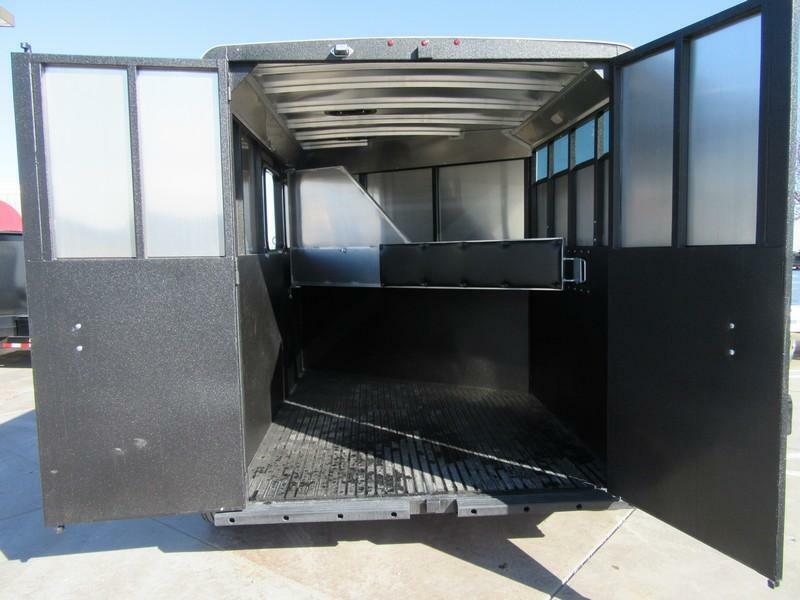 Just pull out the rubber mats and rinse it off! 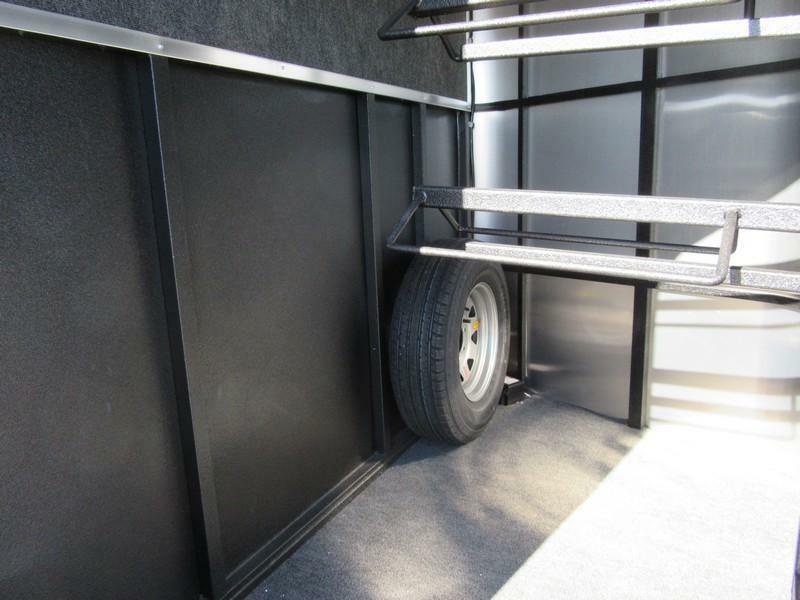 Makes cleaning easy and increases the longevity of the floor. 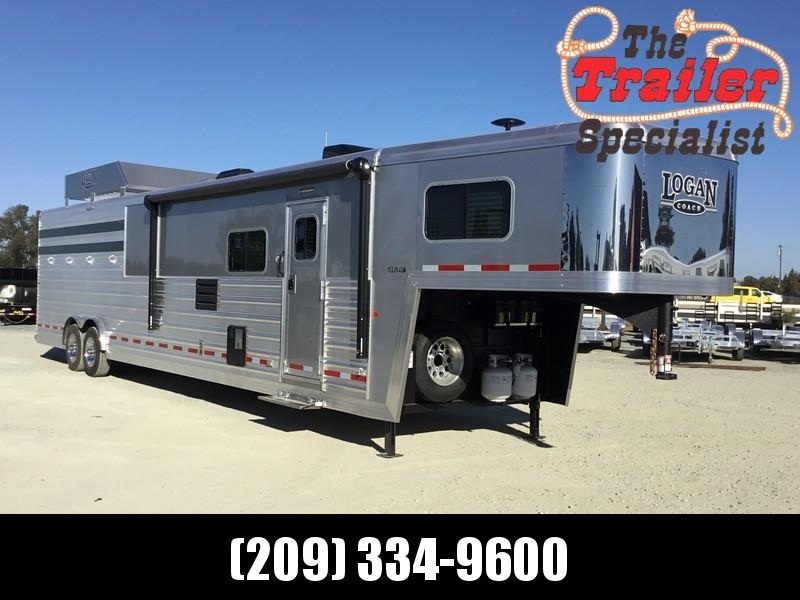 Of course Logan Coach gives you a great warranty to boot! 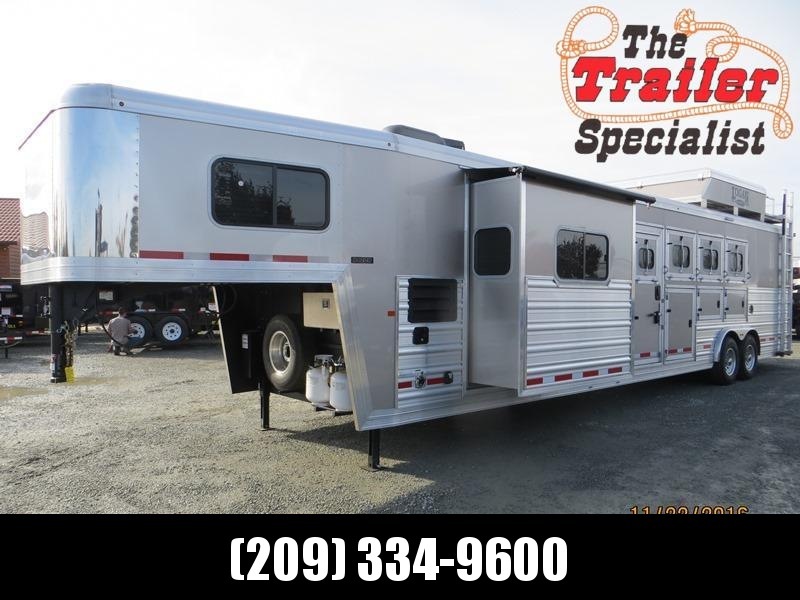 Eight year structural warranty and two year hitch to bumper. 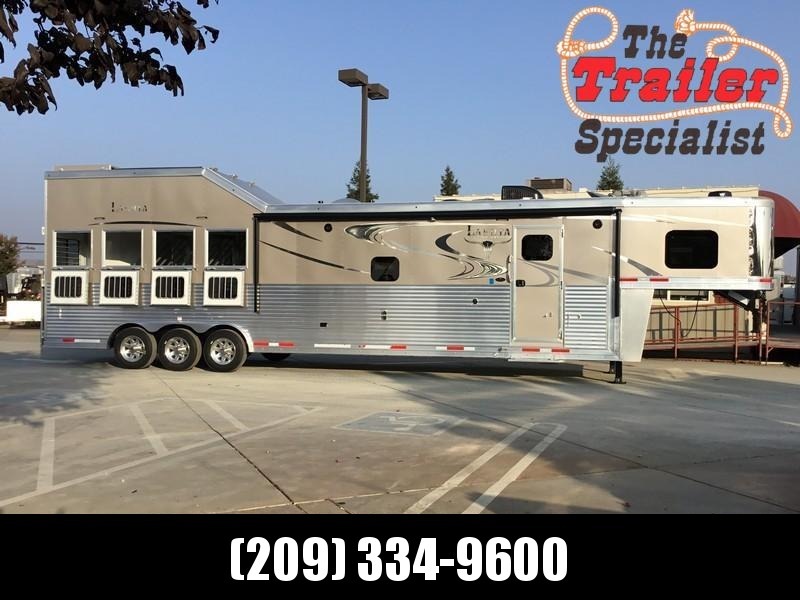 All services and warranty performed at our dealership!